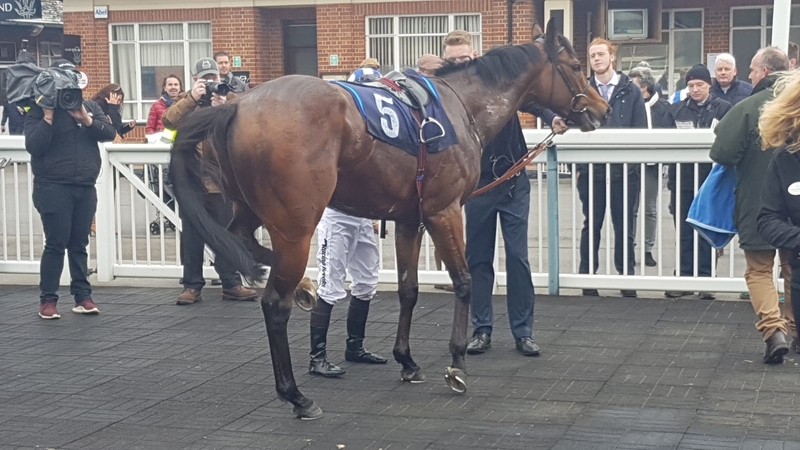 The Grand National was the focus of attention for most on Saturday afternoon, but at La Grange Stables our eyes were trained on Lingfield as the three-year-old Mawsool battled to his first career victory. A son of Kodiac, he is always going to hold a little extra significance as he is out of our 2009 Albany Stakes heroine Habaayib. 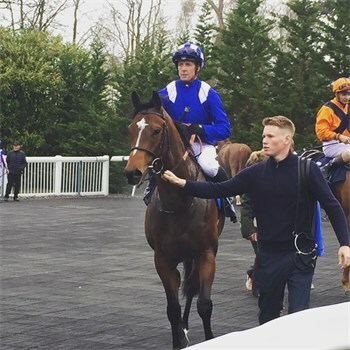 A promising sort last year, Mawsool had shown a fair level of ability on two occasions before disappointing bitterly at Kempton on his third start. Those efforts earned him a mark of 75, so we thought that we would go the handicapping route with him straight away this season. However, this race at Lingfield appeared to cut up a little at the entry and then declaration stages, so we decided it was worth chancing our arm, despite memories of Kempton leaving us a fraction concerned that the AW is not what he wants. Those fears were allayed in no uncertain terms on Saturday afternoon, as Mawsool and Jim Crowley raced to a narrow but decisive success over the William Jarvis trained Lestrade. Jim settled Mawsool in a dispute of second for much of the contest, before asking for more on the run down the hill towards the straight. As Mawsool made his move it immediately became obvious that there was going to be no easy run to the line, as Lestrade moved up menacingly on his outside and John Betjeman stayed on doggedly to his inner. Inside the final furlong Mawsool and Lestrade moved clear of the others, and for 50 yards or so it looked as though the hooded Lestrade was getting the better of the argument. However, under a strong drive from Jim, Mawsool found plenty for pressure and it became evident on the approach to the line that he was going to edge the verdict. We were in receipt of seven pounds from the winner, who is held in high regard, so we must pay tribute to his efforts too. It will be interesting to see what the handicapper does, and that will surely inform where we go from here, but it was highly encouraging to see Mawsool get his head in front nonetheless. We send our warmest congratulations to Mawsool’s owner Sheikh Hamdan Al Maktoum, and thank him for his continued support, and also pass on a big thank you to all the staff in the yard for their continued hard work as we swing into top gear for the turf season.